Acer griseum commonly known as the Paperbark Maple. 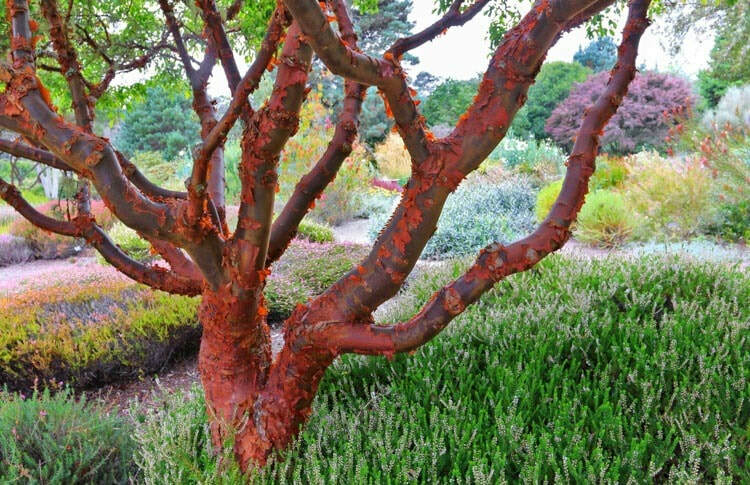 It is well known for its cinnamon coloured, peeling bark and its spectacular autumn foliage, making a great addition to any garden. Originally from China, the paperbark maple was introduced to Europe in the early 1900's. The slow growing Acer tree reaches a height of 5 meters when mature with a spread just a little less. Acer griseum has spectacular autumn foliage which will add great colour to any garden extenuated then by the beautiful peeling bark which provides interest throughout the dark winter months. It therefore was no surprise then when Acer griseum received the RHS Award of Garden Merit first in 1984 and again in 1993. Acer griseum preforms well on most soils but does not like arid conditions. Not suitable for planting within hard surfaces it also appreciates protection from strong winds. The Paperbark is very easy to look after requiring little pruning and whilst the winter frosts may burn of the outer growing tips this will only help promote an attractive rounded habit. Fully hardy.